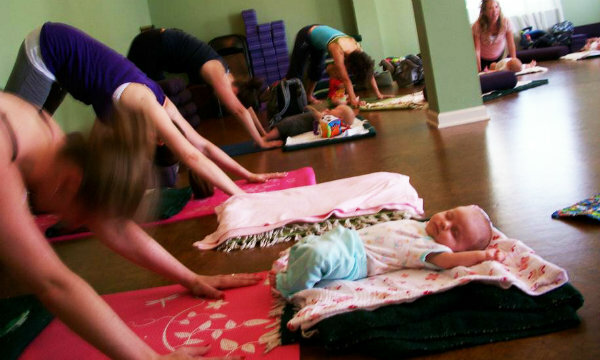 Yes, there's the get-back-in-shape aspect to mom and baby yoga, but yoga with your little one is much more than a fitness class or a few minutes working your abs on a yoga mat. 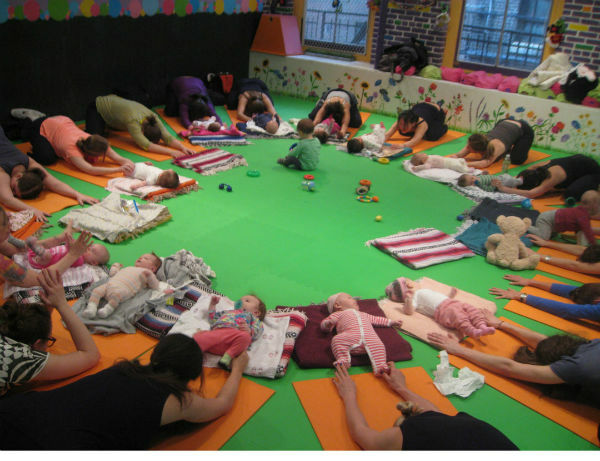 Bond with your baby, spend quality time together, learn to cope with frustrations and interruptions, and celebrate this momentous life change in the best possible way – yoga together. 9. She’s a Natural! Who Needs an Instructor When You Can Take Tips From Your Baby? 10. 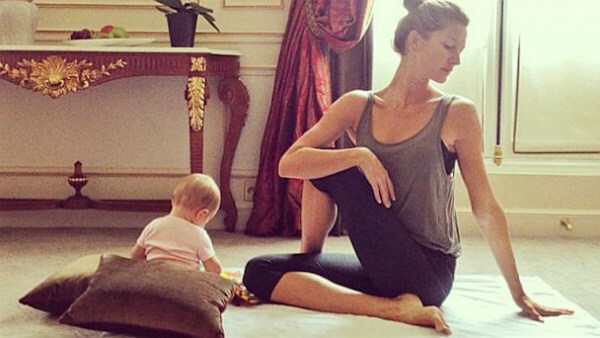 If It’s Good Enough For Gisele Bundchen and Baby Vivian….. So, what are you waiting for? 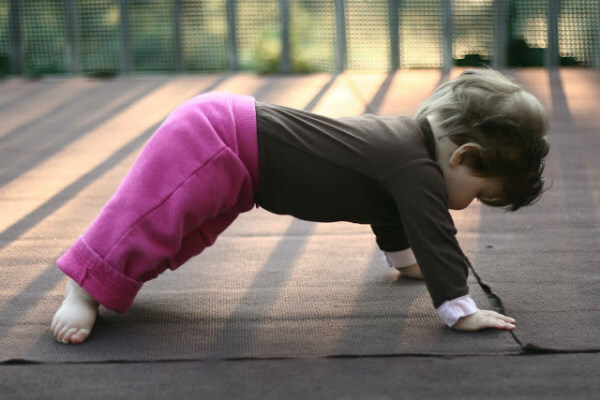 Pick those stray bits of play-doh from your yoga mat, exhale as you bend over from the waist, remove the littlest one’s fingers from your hair, step back into a lunge and hold - for as long as you can manage while your baby and toddler are using your legs as a jungle gym. No one said it was easy practicing yoga with a young family but the benefits are priceless. Namaste!